This blog: Funny Peculiar, Funny Haha? Funny Peculiar or Funny HaHa or possibly just criminal? Normal blogging should be resumed tomorrow. Today, as yesterday, because of lack of time to actually write a blog, here is a copied-and-pasted extract from my e-diary – another fleeting slice of ordinary, normally un-recorded life, this time from exactly 15 years ago. I phoned my mother in the UK. Yesterday, she had the injection which was supposed to kill off the nerve. It was VERY painful and had no effect except to give her even more pain for a while. The pain has not stopped at all. She said she would not go back to the doctor, presumably because of the pain of the injections. I got an email from someone working at the Bloomberg TV station in London. It said: Being here’s one of the weirdest experiences you can ever have in a TV career. I mean, where else can you be part of a real American cult in action? Well, egg retrieval was bloody painful, really astonishingly so (apparently I have ‘bouncy’ ovaries and it took quite a bit of stabbing to get follicles out! One ovary had hidden behind the other!) but other than being very period-pain-y afterwards, I felt OK. Great after an afternoon nap – got up & exercised. Do hope I can keep this strength and positivity during chemo. 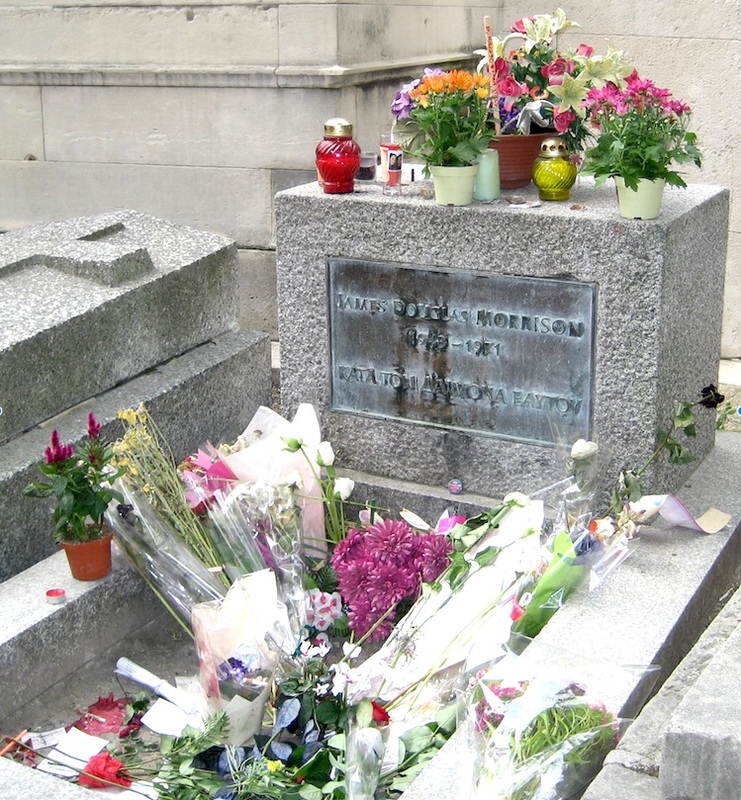 While visiting Père Lachaise cemetery, someone (French) blithely walked up to a sad old lady watering flowers at the front of her husband’s grave and asked where Apollinaire’s grave was. The old woman sadly shook her head and, with Bambi eyes, said she didn’t know. The death date on her husband’s grave was 1984, so she had been mourning him for 16 years. Jim Morrison’s grave had lots of cigarette butts on it (oddly all filter-tipped) and, standing atop it, an empty bottle of Jack Daniels whisky and some folded papers: presumably poems left by a fan. The most popular grave – awash with new flowers – was a 19th century spiritualist’s. One mother and teenage daughter came along; the mother touched the side of the grave with both hands then turned and clasped her daughter’s head in the hands, presumably transferring the power or spirituality of the dead man. On the back of the grave was a notice in French saying this sort of thing was specifically discouraged because, throughout his life, the man had fought against superstition and believed in reincarnation and the transient nature of death. 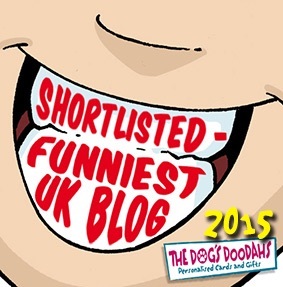 Today is the last day to vote for the UK’s Funniest Blog – This blog has, I think slightly oddly, been shortlisted. I like to think it is maybe in some Funny Peculiar category rather than a Funny Haha one. I can only assume their search engine found the words CRIME, VANCOUVER tagged to my site quite often. The infographic does not display properly. It is probably spam. I await my nomination for Canada’s Best Crime Blog.